Talking Turkey is all the rage during these early days of November and I’m reluctant to start this discussion by letting you know that Ben Franklin’s favorite bird is actually a descendant of T-Rex . Who wants to eat a dinosaur for their Thanksgiving or Christmas meal? Let’s just try to move beyond that little giblet, I mean tidbit. If Ben Franklin had his way, the turkey would have been America’s national bird. Like their much larger predecessor, the T-Rex, both the domestic and wild turkey are native to America. From northern Mexico, up through the mid west, across to the east coast and into southern Canada, the wild turkey extends his natural habitat. After the birth of our nation, the turkey was a contender of birds which were being considered for our national emblem. The bald eagle won out, much to dear old Ben’s chagrin. A hen and her tom, doing what they do best, talking turkey. The male (tom) is the heavier of the sexes, (25 lbs. max) and also more colorful then the female (hen). 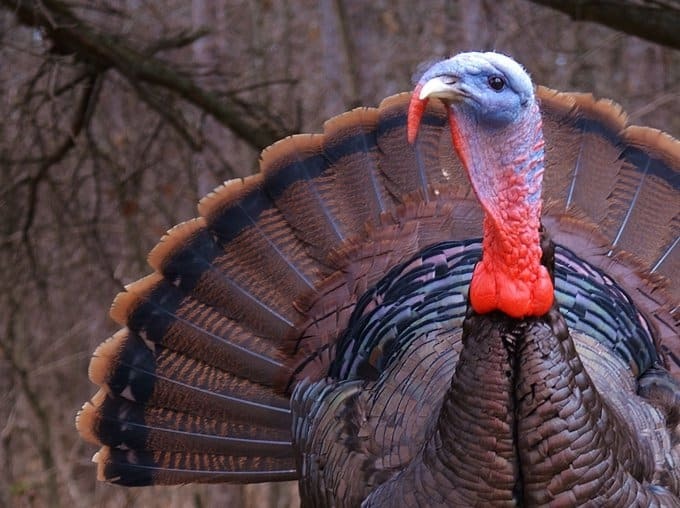 The male turkey can be spotted by the size of his wattle, the fleshy mass of loose skin which starts around his lower beak and runs down the front of his neck. Male turkeys also have a much larger snood, the wobbly length of skin that hangs over, around and down their upper beaks. These appendages both change color with the tom turkey’s mood. Red for excitement, from the rush of blood (breeding time), blue for fear, (lack of oxygen in the blood) and if the turkey isn’t particularly healthy, lighter in overall color. Beards also extend from the males chest, normally about 8 inches in length. Females can also support any or all of these features, but on a much smaller scale, if noticeable at all. Wild turkeys scratch the ground for sustenance, eating wild vegetation, gleaning harvested crops, munching both bugs and frogs. Their diet depends mostly on the time of year and what happens to be available. One might think that these large birds, because of their size, would sleep on the ground in a group, keeping each other company (they don’t like to be alone). In fact, they roost and perch in trees, an effort to avoid predators. Yes, turkeys can fly and actually have been clocked at 55mph, in short bursts of movement (up to a mile) with the aid of their powerful legs and wings. A running turkey can attain a speed of 30mph! It wasn’t too many years ago that wild turkeys were nearly wiped out, due to excessive hunting. Their one time number of an estimated 11 million had plummeted down to 30,000 birds by 1930. Now, thanks to over 50 years of conservation efforts, wild turkey numbers have increased back to upward of 5 million. This number seems small when compared to the US production of domestic turkeys, which is estimated to be around 270 million birds per year. Since wild turkeys are indigenous to America, it should come as no surprise that they were first domesticated by native Americans around 2,000 years ago in Mexico. Interestingly enough, they weren’t raised for their meat but for their feathers which were used in clothing and for rituals. It wasn’t until later, that turkey also became an important food source for them. Turkey drumsticks make great meals, unto themselves. Nutritious, flavorful and inexpensive, they’re hard to beat. and wee’re not just talking turkey. Because it has been bred for meat, the domestic turkey can weigh in at a whopping 50 lbs. Flying has become an impossibility because it’s now too heavy for it’s wings to support flight. The shorter legs of the domestic turkey also mean that the bird which we buy at the grocery store is unable to walk as quickly as the wild turkey, whose well exercised legs are long, and give aid when taking off for flight. Wild turkey breast is dark. The exercise of flight promotes blood flow to the breast region of the bird. 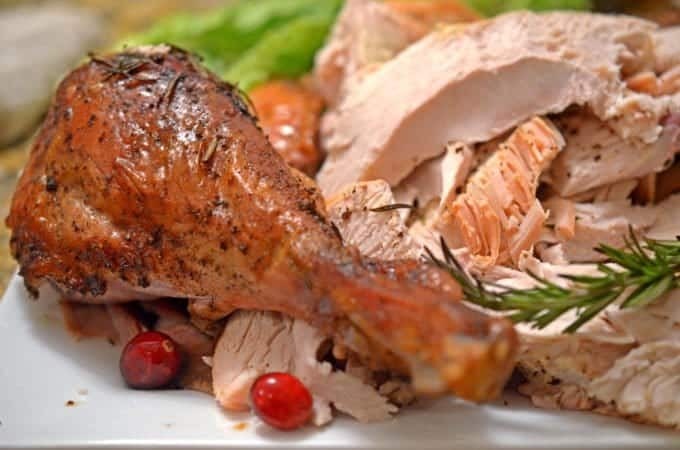 Conversely, the domesticated turkey breasts are white and the entire bird is of a milder flavor, which is due to the decreased blood flow from relative inactivity of the bird. While we are talking turkey, what’s your favorite way to roast a turkey? Normally, a dinner sized portion of cooked turkey is from 3 to 6 oz. per person. You will loose about 40% of a raw turkey to bone, skin and shrinkage. With this information, you can plan on what size bird you need for the number of guests at your dinner table. If you buy a fresh turkey, you can skip the next step. 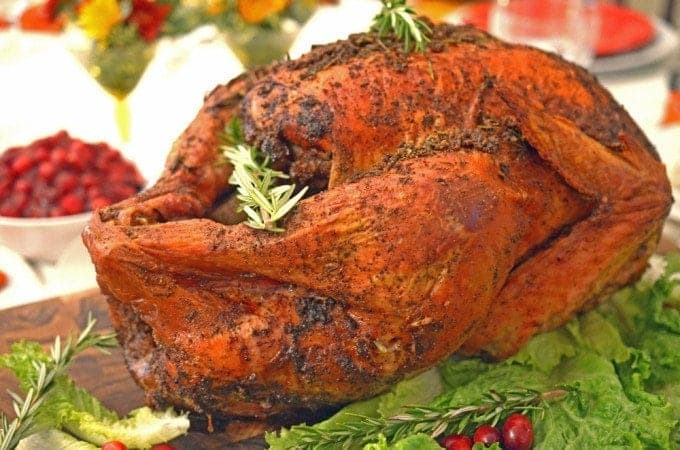 Although a fresh turkey is always ideal, they are also considerably more expensive and can be difficult to come by. A frozen turkey can be perfectly delicious, if prepared correctly. If your turkey is frozen thaw your turkey in the refrigerator, allowing about 24hrs of thaw time per 5 lbs. of frozen turkey. Allow 4-5 days for a 20 lb. turkey. When your turkey thaws and is and pliable, remove the package of goodies from the neck flap or cavity which contains the neck, liver, heart and gizzard. Reserve for later use in stuffing and/or gravy. I usually put the neck in some stock that is heating for use in the gravy. Generously shake salt inside the cavity of the turkey and massage it thoroughly into all the nooks and crannies. Rinse your turkey in cold water, inside and out and then pat dry. Set the oven for 325°F. Time to make the stuffing. Use the recipe of your choice. Whether you have a traditional family recipe or use an “instant” boxed variety, is entirely up to you. Plan on making at least 3/4 cup of stuffing per person. Once the stuffing is ready, loosely fill the turkey. This allows for expansion of the dressing and promotes an evenly cooked turkey. Fill the small neck cavity at the top of the bird with stuffing, too. Fold neck skin under body. I usually make enough stuffing to fill a low (2”) casserole dish too. Everybody at our dinner table loves stuffing, and there is always plenty. Once the stuffing process is complete, place turkey, breast-side up, on roasting rack set in a roasting pan. If you don’t have a rack, don’t stress. You can make a rack with celery ribs. This will add flavor to your drippings when making gravy. 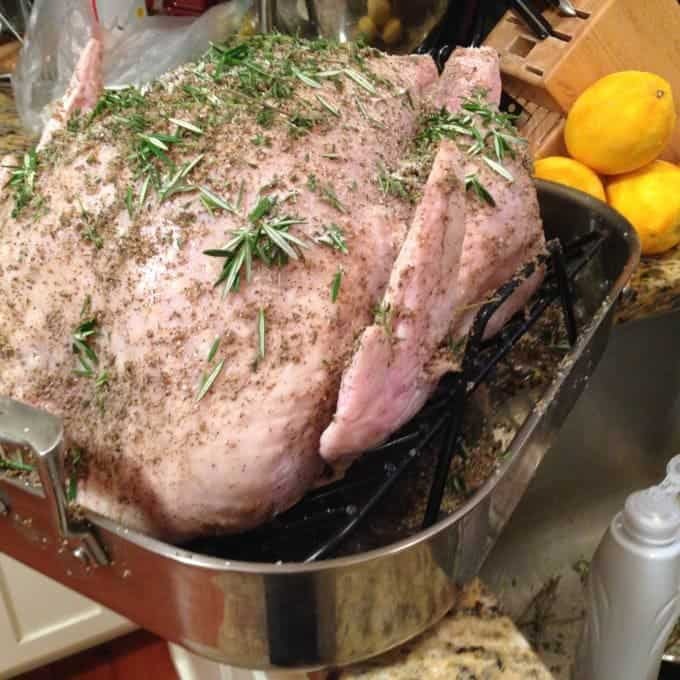 Brush or spray the turkey all over with melted butter or olive oil. Sprinkle with Kosher salt. Next, tent the entire roaster with heavy duty aluminum and fold at the apex to make a stiff tent top. I find that this holds it shape better then regular aluminum foil. Don’t let the aluminum touch the turkey because the skin can adhere to the foil while cooking which would result in the skin peeling off with the foil. This would be a tragedy, IMHO. Be sure the edges are snug and secure. This will help hold in steam and help your turkey cook better. Plan on allowing 4.5 to 5 hours of cooking time for a 20 lb. turkey at 325℉. Remove turkey from oven before the last 1/2 your of cooking. Adjust temperature of oven to 375°F. Remove foil from roaster for last half hour of cooking. for a nicely browned skin. It’s a good idea to baste twice during roasting and once after the foil comes off for final step of browning. 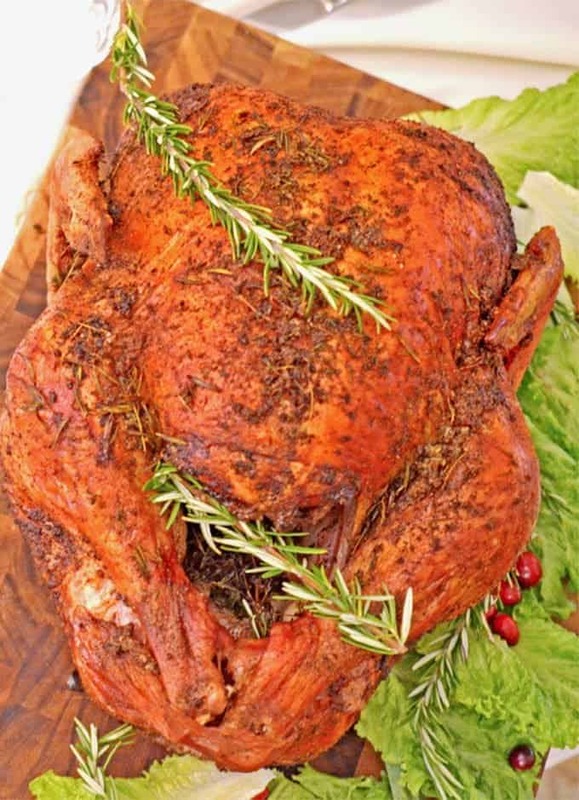 Try for Our Savory & Citrus Roast Turkey, for Your Next Holiday Dinner. The turkey is safe to eat, once the food thermometer reaches an internal temperature of 165℉. Allow the bird to stand about 30 minutes before removing the stuffing. When the turkey roasts, much of its juices move to the outer edge of the flesh. Letting it rest for 30 minutes or so give the juices time to be reabsorbed back into the meat, making for a more moist and flavorful turkey. The resting time can be used to make the gravy, reheat side dishes, pour water and do all of your last minute finishing touches before calling your guests to the table. 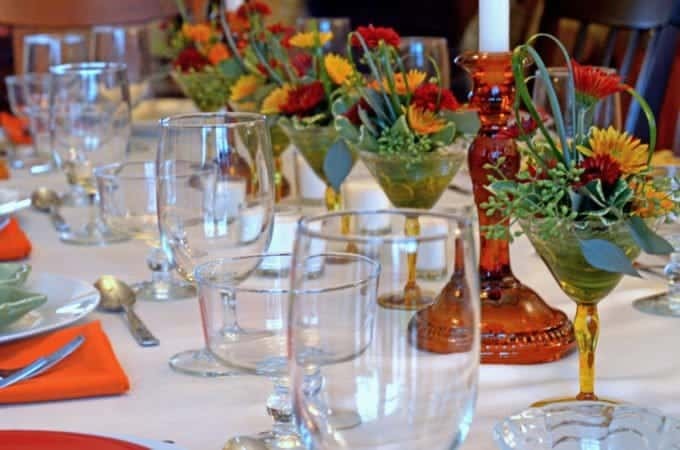 While your turkey is out of the oven and resting, it’s the perfect time to add the finishing touches to your holiday dinner table. We made this over the weekend as a trial for the holidays! Game on!!!! Great turkey information. Have you ever tried roasting a wild turkey? I hunt with my cousins & we’ve seen them but never actually brought any home since none of us has ever Cooked one. Any advice would be gratefully welcomed. Thank you. Rylee, I have had a deep fried wild turkey, but never a roasted one. We would love to know if you try this technique! Yes, Rylee! Please do!!! I bet the bones would make a great stock, too. Cindy, I hope that you and your family have a beautiful Thanksgiving day. Thanks for reading. It is almost Turkey day! Get into here, I will be sharing with my family for the big day! Thankful when I get turkey tips! Thanks, Jo. I’m very happy to hear that your enjoyed the article. Happy Thanksgiving! Congratulations! I really enjoyed reading every little detail of your post… so-so many interesting things to learn. I’m so happy that you enjoyed the article! Thanks for saying so. I’m glad that you enjoyed the article, Kim. Have a great Thanksgiving. Love all your tips! Thanksgiving is my favorite food holiday, the turkey looks delicious! Wow, an incredible amount of turkey facts to digest (so to speak). I’m certainly referencing this post the next time I cook turkey. Haha Amanda! Thanks for the comment. Have a wonderful Thanksgiving. You are a cornucopia of turkey knowledge! I had no idea that they could run so fast or fly! As we get closer to Thanksgiving, I’m looking forward to a juicy bird! Me too, Lisa! Thanks for the comment. I actually prefer roast chicken over turkey but look forward to the big bird for holiday meals. Thanks for commenting, Veena. Great info! I’m not a big stuffing person so I usually prepare a small amount on the side and stuff my bird with lemons, herbs and aromatics. Wow! Didnt realize they could go so fast. Such great facts and tips before thanksgiving. Thanks! They really do have an interesting history. Glad that you enjoyed the article. Thanks for your comment. Here in US, fresh turkeys cost about twice as much as frozen. Does the same apply to the UK? How interesting that they’re actually pretty fast fliers. They’re such cumbersome-looking beasts! Kate, it just goes to show that we can never judge a book by it’s cover! Happy Thanksgiving. 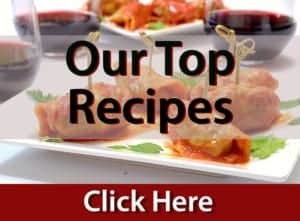 Great tips for a classic dinner! Loving all the turkey facts here and that looks like a perfectly cooked turkey too. It’s so important to us where our turkey comes from. Dannii- honestly, you’re right. Wouldn’t be nice it we had more control with knowing where all our food comes from? Thanks for the comment. Love this information – Love learning more about the food I eat – and, Love learning some great tips on making the perfect Thanksgiving turkey! Thanks, Sarah. I so happy that you enjoyed the article. The shin is my favorite part, between you and me! Thanks for the comment. That skin looks so crispy and delicious! What an interesting post, with some interesting turkey facts. Thanks for the comment, Shumaila. Hope that you enjoyed the read. Very fun and interesting post. Thanks for all the giblets, er I mean tidbits. But, what it really tells me is that I need to get on the ball and order my turkey for Thanksgiving really soon! Who doesn’t love a good giblet here and there? Have a beautiful Thanksgiving, Debi! This is everything I always wanted to know about turkeys ~ I had no idea they were related to dinosaurs!! Haha. Birds are all thought to be. Thanks for the comment. 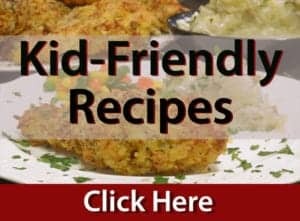 Great information on turkeys. It is so easy to take everything for granted when you just blindly buy from the supermarket. Thanks for the info. HI Mark. Thanks for reading the article. It’s easy to take things for granted in this day & age! Happy Thanksgiving! Welcome back to the USA! I hope that this year you have a Thanksgiving that makes up for the 7 that you missed. You have now put the idea of dinosaurs for xmas in my head. 🙂 Thanks for all the tips and things to think about over Xmas. OH! I hope that I didn’t ruin your appetite for turkey! haha. That’s a lot to think about this Thanksgiving! The turkey really has been thru a lot! 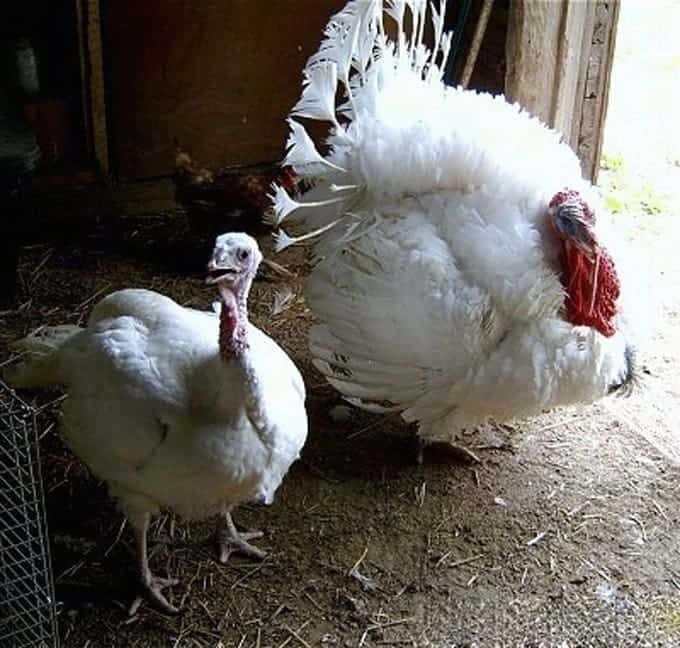 I went to a specialist turkey farm in the UK a couple of years ago and like you, learned a lot about turkey, the history, how they were bred for domestic consumption and the difference between the modern domestic bird (bred for huge breasts not for flavour) and the heritage breeds. I’m now a heritage breed turkey lover all the way! Yes Kavey, The UK also had a lot to do with the development of domesticated turkey. It’s very interesting, isn’t it? Interesting post…I did laugh at the thought of a turkey running at 30mph lol. Oh and your citrus roast turkey recipe sounds delicious. I know, right? who would of thought that they could boogie that fast? Thanks for the comment.